Today I’m going to show you how to easily embellish any cocktail or drink you’re serving. These are great to float in martinis like a Cosmo or to put on the side the a glass of a strawberry daiquiri. I’ve also used these when I make someone I love breakfast-in-bed and I always top my waffles, pancakes, or french toast with them. Its just a cute way to incorporate little bits of your love in your food. Cut of the green leafy tops of the strawberry, cutting off as little of the strawberry as possible. 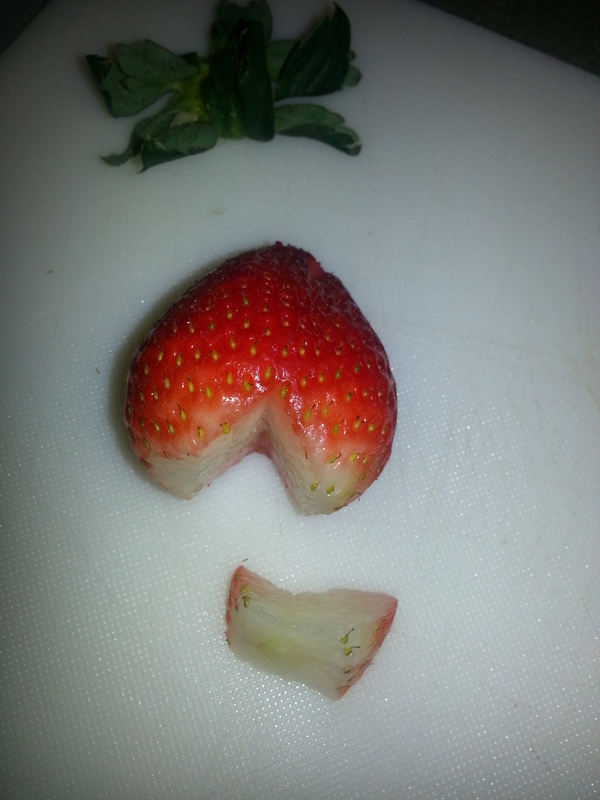 Cut a “V” into the top of the strawberry around where the leaves used to be. Try to place it in the center, its ok if they aren’t because they will be delicious either way. 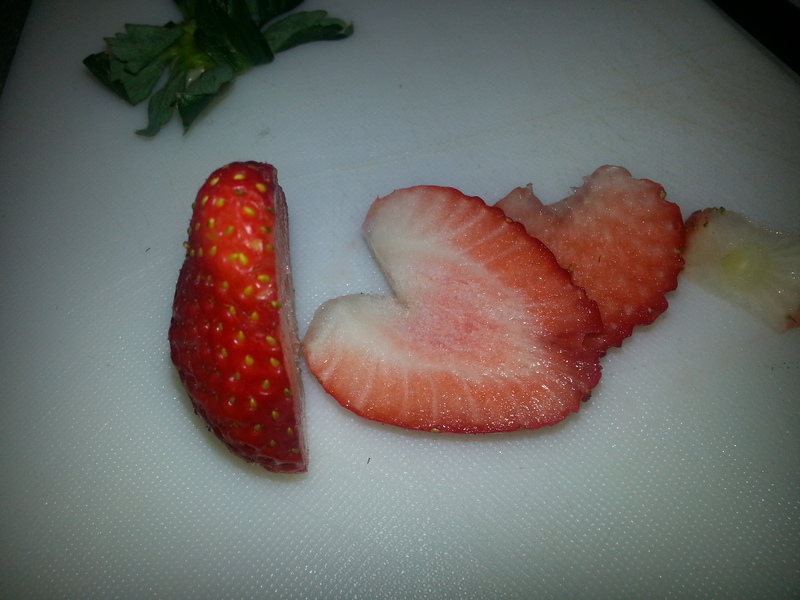 Place the strawberry “V” side down on the cutting board and slice the strawberry into hearts. I usually like to make them around a 1/2 centimeter thick: you don’t want them to be paper thin. Now you have edible hearts that you can use for just about anything. Maybe on top of some chocolate cupcakes? Normally I do not learn article on blogs, but I would like to say that this write-up very compelled me to take a look at and do so! Your writing style has been amazed me. Thank you, quite nice post.